Language development remains one of the most hotly debated topics in the cognitive sciences. In recent years we have seen contributions to the debate from researchers in psychology, linguistics, artificial intelligence, and philosophy, though there have been surprisingly few interdisciplinary attempts at unifying the various theories. In Language and the Learning Curve, a leading researcher in the field offers a radical new view of language development. Drawing on formal linguistic theory (the Minimalist Program, Dependency Grammars), cognitive psychology (skill learning) computational linguistics (Zipf curves), and Complexity Theory (networks), it takes the view that syntactic development is a simple process and that syntax can be learned just like any other cognitive or motor skill. In a thought provoking and accessible style, it develops a learning theory of the acquisition of syntax that builds on the contribution of the different source theories in a detailed and explicit manner. Each chapter starts by laying the relevant theoretical background, before examining empirical data on child language acquisition. The result is a bold new theory of the acquisition of syntax, unusual in its combination of Chomskian linguistics and learning theory. 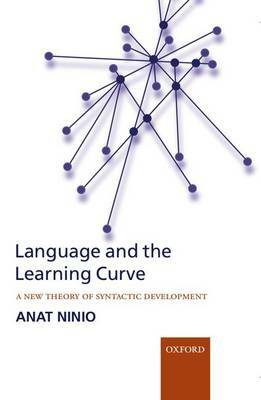 Language and the Learning Curve is an important new work that challenges many of our usual assumptions about syntactic development.